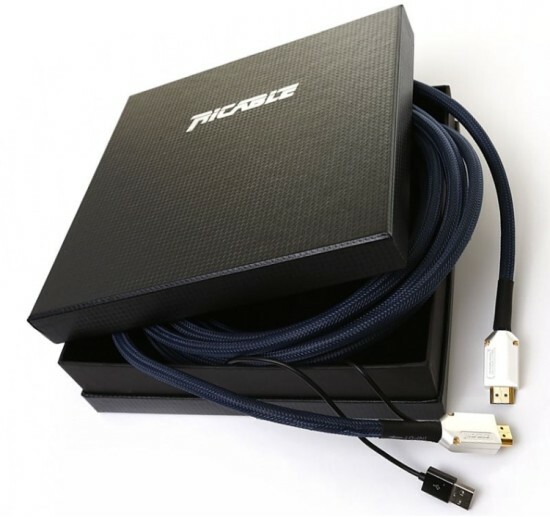 Ricable is a relatively new company that offer an interesting range of cables, offering a catalogue quite different from regular cable makers’ catalogues. The cables that sparked my personal interest most were the Supreme range of active HDMI cables, designed for working at long distances. The reason why I find the Supreme AI range so interesting is because of the promise to work perfectly even at very long lengths of up to 25 meters. Many people believe that HDMI either works, or doesn’t. It’s digital after all, right? Wrong. 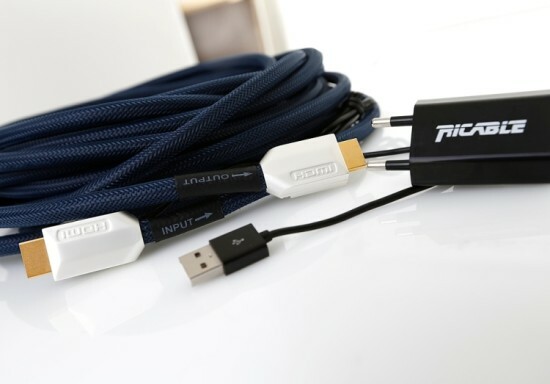 Some time ago I performed various independent tests (apologies – the review is only in Dutch) with a number of HDMI cables ranging from cheap no-name brand cables to top of the line high end models. Lateron I conducted some more tests where I compared a 10 euro 1 meter cable with my best 300 euro 7 meter high end HDMI cable. The outcome? The 10 euro cable easily beat my 7 meter long high end cable. When comparing longer lenths of cables though, the high end cables were at an advantage after all, offering more natural, or more 3D imagery. Interestinly, the more expensive cables were never sharper. Resolution, it seems, can just not be retained at these long lengths. Or can it? The tests described above made me not want to place the media streamer too far away from the video projector. But, as owners of projectors will know, one can easily span over 10 meters even in small rooms, if the cable is to be tucked away neatly. My solution until now has been to attach the media streamer to the projector clamp and connect then with the shortest cable I could find. This has worked well enough for some time, but of course presents limitations if you have multiple sources, most importantly a Blu Ray player, or if you want to route the signal through an AV amplifier. The Supreme AI series is the evolution of the Supreme, made for long distances. In order to keep the same quality at distances greater than 7.5 m, Ricable integrated an integrated circuit with double processor in the input connector. This was already enough to spark my interest. But there’s more: we’re talking HDMI 2.0, OCC conductors, 4K compatibility and full metal connectors, at very reasonable prices. Sure, 170 euro might sound like a lot of money for a 10 meter cable, but I spent double that on a 7 meter HDMI cable before, and it didn’t even come close to the performance of a 1 meter OEM cable. This microprocessor inside the input connector has two purposes: the first is to equalise the signal so that Jitter is kept low and avoid any degradation of the transmitted data. The second purpose is to amplify the signal by means of a separate chip. The data alignment processor is always active but the amplification is only active if the supplied USB adapter is connected. 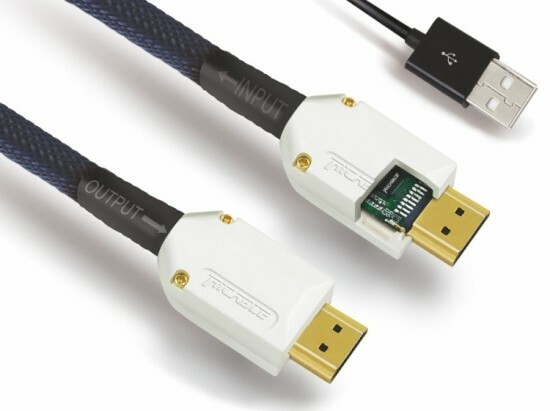 According to the manufacturer, the cable generously exceeds required specifications by the HDMI consortium for HDMI 2.0 standards. Importantly, the HDMI 2.0 series is backward compatible with the HDMI 1.4 and 1.3 versions both for functionality and for features. Another interesting feature is the possibility to remove the outside of the output connector, revealing a still sealed and protected, but very compact connector inside. So compact this reduced connector is, that it will allow pulling it through standard household cable ducts as built into wals and ceilings. This allows for “invisible” installations. 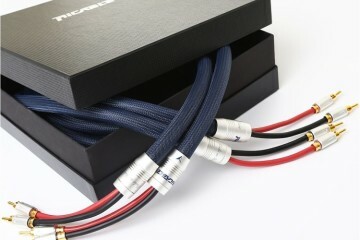 Ricable offer their Supreme AI (Artificial Intelligence) range of cables in 10m, 12,5m, 15m, 20m and 25 meter lengths. Importantly, the price doesn’t go up disproportionately when adding length. 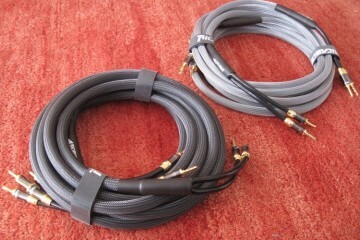 For example, the 10 meter cable retails for 170 euro, and the 12,5 meter cable retails for 190 euro. As I said: very reasonable. The supplied USB power supply certainly does the job as far as video quality is concerned but when connected to the same power extension block, my phono preamp (set to MC with very high gain) picks up and amplifies clearly audible amounts of interference, as a mix of modulated hum and spurious noises that are audible even when playing music. Replacing the USB power supply with the one from my iPhone, this problem is entirely eliminated, which seems to indicate that the power supply is likely not sufficiently filtered. A way to reduce this effect without having to resort to another power supply, is to plug it into a power extension block that is connected to a different wall outlet. Even though in my case both outlets are connected to the same source in the ceiling, apparently the noise is greatly reduced over the distance that it travels. And if you don’t have a record player with MC catridge, or no record player at all, you will likely not even pick up on this. Enough techno babble. Question is: does the cable really deliver on its promise? 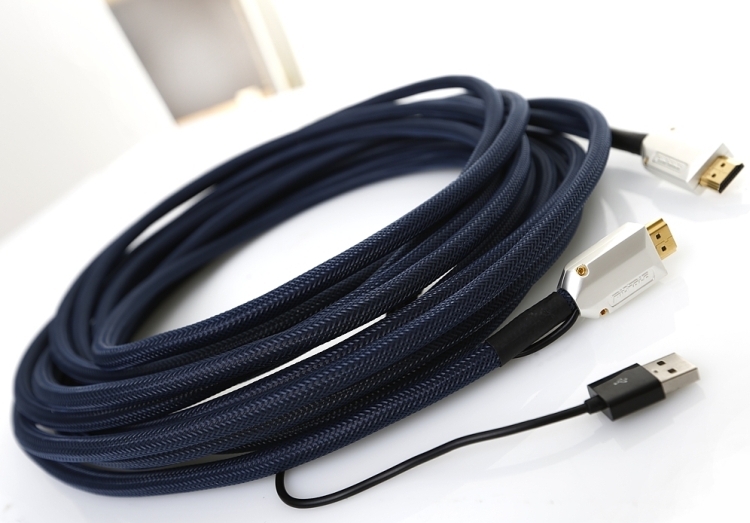 Knowing first hand how difficult it is retain the same video quality of a short cable in a 15 meter long cable, I have looked long and hard, using various video sources, comparing a 1 meter standard cable with the 15 meter Ricable Prestige. I couldn’t see any difference. But I didn’t trust myself and wanted to be sure, so ultimately I resorted to taking photos of a still image with both cables, comparing them on a big computerscreen with a lot of zoom in afterwards. But unlike in my earlier tests using uncorrected, unamplified cables, this time I just couldn’t spot any differences. 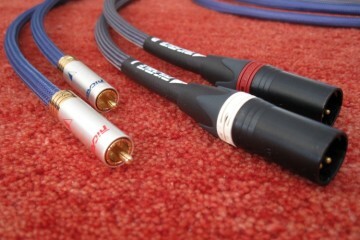 I also tried my previous reference QED HDMI-SR cable but unsurprisingly, it performed least of the bunch. So there you have it, plain and simple: the 15 meter long Ricable produces images that are every bit as sharp as the ones produced with the 1 meter short cable.